Includes: registration, participation in select Illuminating Works programs, OP Annual General Meeting, lunch and dinner on Thursday and Friday, and ticket to BIZIINDAN! on Friday night. Discounted Luminato tickets are available separately for Wednesday and Thursday. Includes: registration, participation in select Illuminating Works programs, lunch and dinner, and ticket to BIZIINDAN! Includes: registration, participation in select Illuminating Works programs, lunch and dinner. 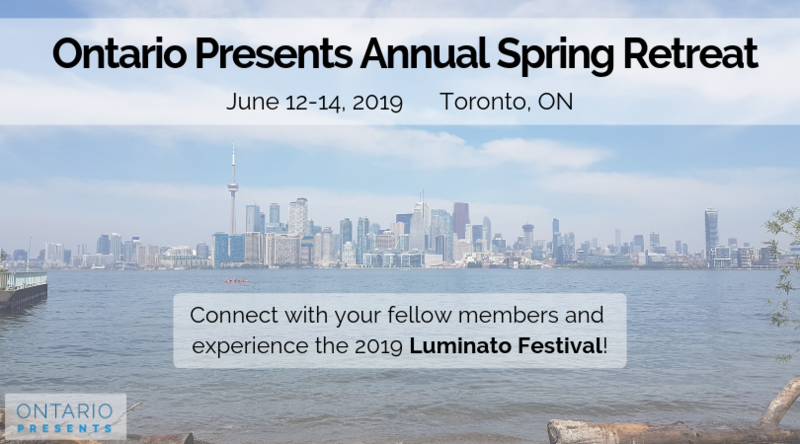 Discounted Luminato tickets available separately.